A urinary infection is a bacterial infection in the bladder that causes pain during urination. The bladder feels as if it never completely empties. Often, there is pain in the lower back. If the infection isn’t dealt with soon enough, it can cause fever or even lead to a kidney infection. 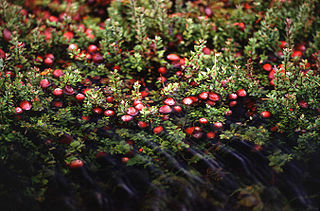 Cranberries and blueberries both contain arbutin, which is a natural antibiotic and a diuretic. There are compounds in both these fruits that prevent bacteria from attaching to bladder walls, which helps prevent bladder infections, and also helps to treat bladder infections. My husband's urologist told him to drink cranberry juice to help prevent bladder infections. Four to six ounces of either juice daily will help prevent an infection, but an active infection requires at least 17 to 20 ounces per day for at least a week. Unfortunately, cranberry juice is extremely bitter. Most people cannot, or will not, drink it unless there is sugar added. This substantially increases the calorie content. Keep this in mind when treating a bladder infection to help prevent substantial weight gain. Fresh fruit is also a good choice, but again, the cranberries will have to be sweetened in some way to make them palatable. Using the fresh fruit in muffins or batter breads is a good way to get them into your diet. Another option is to take cranberry or blueberry capsules. Craisins, dried cranberries, are a good snack that will also help prevent infections. Craisins can be used in any recipe that uses raisins. As mentioned in previous articles, I am not a doctor. Always be sure to consult your medical care provider for diagnosis. If you try this remedy and do not receive relief in a couple of days, get to your medical care provider immediately. Do you use cranberries to prevent bladder infections? Added sugar should be avoided during an infection because it feeds the bacteria. I use D-Mannose powder, the substance which prevents the bacteria from attaching to the bladder wall, as a preventative. You are right about avoiding sugar. That is why we try to find 100% cranberry juice. It's a little bitter, but really does work. Thank you for your comment.